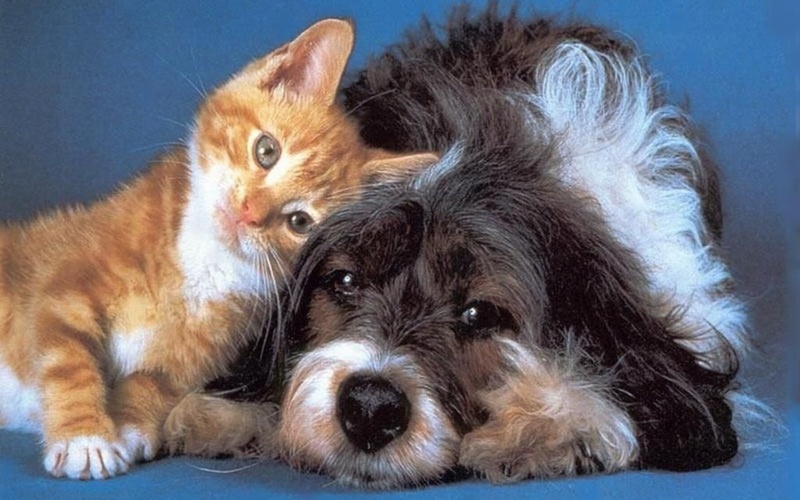 Dogs and cats living together in peace – is that something extraordinary, or completely achievable for every household? We know you’d like to hear it’s the latter, and some articles might claim it’s true, however, in reality, that’d be a huge exaggeration… AND YET, you can, in fact, increase drastically the chances of success for your pets’ peaceful interaction. HM tip: Before we dive into the first steps and further guidelines, please note that we would NOT recommend even thinking about bringing these two creatures together if you have a 1-room apartment – the following steps are very hard to execute properly in that case. When you bring your new puppy home and need to acclimatize it with your dear cat, you have to make sure that you are providing a safe environment and will be able to manage your canine to be friendly and properly behaved. The same should go the other way around, but please note that cats and their characters are much more resistant to change and control; Therefore, let us focus more on the dog and less the cat as the simple truth applies here as well – you should only worry about the things you CAN change, influence and adapt. If you have decided to put these two animals under the same roof, ensure you keep them apart for the first week or so (this is especially crucial when you’re absent). That means, keep your cat and its belongings in its favorite room, whereas the dog should be behind other doors in your household. You might be wondering how that helps. Actually, this is how their introduction begins – they smell each other’s scent. Keep in mind that a lot of cat illness is caused by stress, so, this smell is already enough pressure on it, let alone immediate visual interaction with the great beast. After a week or so, you can try introducing them face to face. Rule number one, which many other articles we’ve read on the topic miss to point out, is that the greeting area must a neutral zone, for instance, the corridor. That way one or the other don’t breach other’s “private territory” as the chances are they both might behave defensively and aggressively depending on whose territory has been trespassed. You might have heard or read different approaches on how exactly they should meet. A common misconception is that you can put the cat, let’s say, in a drawer (or anywhere – the floor or elsewhere) and keep your dog on a leash. Then bring in the dog to the area next to the cat, loosen the belt, and observe how the dog reacts to the cat. Now, we cannot emphasize enough how silly that is in the first place. To keep this short and on point, know that the chances are the dog becomes way more aggressive NOT obedient when on a leash. Obviously, you want the leash to act as a safety net but at the same time you’re basically tuning this to failure at the very scratch. Of course, it might sound like a scary prospect to greet your big fella to your dear cat without a leash. You definitely should be next to them and ready to react accordingly whenever necessary – by no means don’t leave them alone together when you’re gone unless they’ve already gotten used to each other. But the leash is simply not a good choice in any occasion – then you’re better off keeping them apart at all times. HM tip: There’s no doubt the best option would be to get your cat and dog meet when their both still very young – a kitten and a puppy if that’s a possibility. At this age, they’re both curious explorers and likely would see each other as a playmate not instinctively as their natural enemy. Now, there are various scenarios that might take place. First, if you have an older cat and a young puppy, you should worry much more about the young fella’s health. Don’t let your puppy get too excited around the cat if the latter expresses signs of aversion and aggression (frozen position and hiss, etc.). Let them smell and see each other, and that might be good enough start already. Second, if you have an older and larger dog, pay very close attention in this meeting to dog’s expression. If seeing signs of aggression and dislike towards cat, take the dog away (a walk outside is a good idea). In this case, it’s safer to seek out a professional trainer and dog behaviorist. Anyhow, have a vertical territory for your cat, meaning, it should be able to climb up on furniture or something just in case (if cat sees no option to retreat, it’s likely it will choose the unpleasant alternative to attack). It’s also possible that, after week of no visual contact but scent, they both have already stepped a huge step into direction of accepting the fellow companion (note again it’s usually harder for adult cats as they’d almost never be happy about a new “family member” in the house, even a new cat might cause a tremendous aversion). Even if this is the case, you should NOT leave them in the same room for the next few weeks when they’re home alone. Make sure they’re separated. Put the litter box and also feed your cat in a place out of the dog’s reach. Give your cat a piece of furniture height as you see the dog from above. Have a neutral space as well. If you ratify your dog from a shelter, it’s important to know if the dog has been acquainted with the cats and might safely move in with them. If your cat has been socialized successfully with dogs in the past, it’ll be way easier to succeed for a “bi-petual” unit. On the other hand, if your cat has been attacked or otherwise traumatized by dogs, you may need to avoid trying to unite these creatures at all. When a cat feels vulnerable, its natural instinct is to get away, if that’s not a possibility – fight back viciously. If the dog’s natural instinct is to engage in the brawl, the results may be tragic. Some breeds undoubtedly enjoy pursuit way more – sight dogs and terriers, for example, whereas some breeds, such as Golden Retrievers, are dignified friends to everyone. 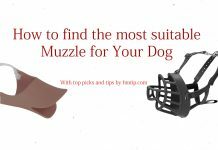 Carry your dog on a nice, long walk, or play fetch-and-retrieve for a while, or play some other interactive game or toy with your companion. If the dog has consumed all its extra energy, chances of peaceful interaction are much greater. Also, it’s not a bad idea to play with your cat beforehand, too. 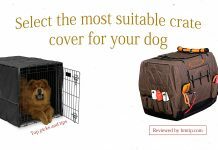 Teach the dog to respond instantly to safety orders such as “come”, “sit”, “stay”, etc. as soon as possible. If you see your cat always hiding once you are home, or if the dog is becoming aggressive around cat (or other pets, or even humans), get help from a dog trainer or a behaviorist. Yes, it is possible to have a harmonious multi-species household. Possible, but no warranty given – if anyone guarantees you that after some general guidelines or exercises, ask them to issue the warranty paper. In all seriousness, it might sound like a bummer, but most likely you are better off with just one kind of four-legged companion (unless, as mentioned previously, they’re both open-minded younglings).